Gold prices topped $1,500 per ounce yesterday, just days after Standard & Poor’s roiled the equity and bond markets by lowering its outlook on the AAA credit rating of the U.S. government. After a decade in which stocks went nowhere and the U.S. dollar lost value to every world currency except the Zimbabwean dollar, many Americans are ready to give up on the entire system. Quite a few already have. 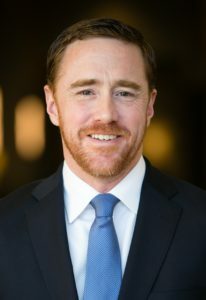 After watching gold more than quadruple in value, investors might be tempted to wash their hands of financial assets altogether, convert their savings to gold bars, and bury it in their backyards. But frankly, I cannot fathom a worse idea. Gold today is as risky as tech stock in 1999 and Miami condos in 2005, and the arguments supporting its rise are every bit as flimsy. Let’s take a look at some of these arguments and how they stand up to a brief reality check. Let’s start with the very basics. I would define an investment as an asset that creates value and income over time. Stocks, bonds, real estate, and even livestock and productive machinery would all qualify. This is in contrast to “speculation,” which is a purchase based purely on the hope of selling at a higher price at some point in the future. Graham was speaking of common stocks, but the same argument could be made about Miami condos, Dutch tulip bulbs, or even baseball cards and Beanie Babies. And it certainly applies to gold today. You could take all the gold that’s ever been mined, and it would fill a cube 67 feet in each direction. For what that’s worth at current gold prices, you could buy all — not some — all of the farmland in the United States. Plus, you could buy 10 Exxon Mobils, plus have $1 trillion of walking-around money. Or you could have a big cube of metal. Which would you take? Which is going to produce more value? 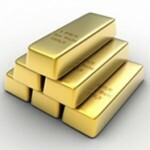 Gold pays no dividends or interest and produces nothing. It’s an inert metal that you have to pay to store and insure. And yes, your ability to profit from it depends on your being able to sell it to someone else at a higher price than what you paid, plus selling commissions and expenses. Is this a bet you’re comfortable making when it has already risen by a factor of four in a matter of years and the trade is looking increasingly crowded? There is nothing wrong with speculating, of course, if you understand the risk. The problem comes when you confuse it with investment. And these days, many folks can’t tell the difference. Plenty of gold bugs concede the metal is not a traditional “investment,” per se, but argue passionately that its purpose is not speculative. Instead, it is a durable store of value in a world of disposable paper fiat currencies. Unfortunately, the facts simply do not support this view. That’s because gold is a great store of value—except when it’s not. Had you become fed up with the inflation of the Jimmy Carter years and moved your savings to gold in 1980, you would have watched your “store of value” fall by 70% in the two decades that followed. And this would have happened during a period of persistent (though falling) inflation. Meanwhile, the raging bull market in gold since 2000 can hardly be considered “stable.” Sure, no one complains if their purchasing power rises. But if your stated purpose in buying gold is its role as a store of value, even volatility to the upside should be unsettling. And for an asset often touted as a “crisis hedge,” gold also performed remarkably poorly during the 2008 meltdown. Gold went into freefall in September and October 2008 after the Lehman Brothers failure knocked the financial world off its axis. Not a very effective insurance policy, in my opinion. Lastly, if protection from the ravages of inflation is so crucial to investors, then why not shop around for a quality rental property? Plenty of desperate owners would happily exchange their real estate for some of that “worthless” green paper. But to the true die-hard gold believer, the idea of buying real estate at depressed prices to hedge against inflation and a plummeting dollar is seen as a fool’s errand, while buying gold at record levels is seen the only safe bet. It’s easy to point to gold as a store of value when prices are rising. But they won’t rise forever. This claim is almost laughable, but it wasn’t born in a vacuum. Gold bugs have lived on the fringes of the investment world for so long they view themselves as the perpetual voices in the wilderness, as rebels set against the Wall Street establishment. But today, gold is every bit as mainstream as stocks and bonds. It’s now on the front page of Yahoo Finance, for crying out loud, and every major city in America is littered with “We Buy Gold” billboards. Also, American retail and institutional interest in gold has surged via exchange-traded funds like the SPDR Gold Trust (NYSE: GLD), and now Chinese investors are piling into gold via brand-new gold ETFs trading in mainland China. Gold has even wormed its way into the Islamic banking system. The Financial Times recently reported that several of Turkey’s sharia-compliant banks have begun offering gold deposit accounts, exchange traded funds and even gold-dispensing ATM machines. Turkey—the world’s 4th-largest market for gold jewelry—recently became a net exporter of the yellow metal, as Turks now sell more existing jewelry for scrap than they buy (see Melting Ottoman Gold). Gold’s popularity transcends nationality, religion and culture — and its price has also moved in virtual lockstep with stocks and other “risk” assets since the bear market bottom of March 2009. A popular investment that moves the same direction as all other risky assets…does this sound like a contrarian investment to you? A true contrarian would view gold’s universal popularity as a warning sign. They might also be concerned by the deterioration of gold’s primary traditional use—jewelry. Consider that India has seen a decline in gold jewelry sales since 2005 despite an economic boom, and that worldwide there has been a massive shift away from gold use in luxury goods to gold in “investment” uses in the last decade. In fact, the portion of gold used for “investment” jumped by a factor of 65 from 2000 to 2010 (see Gold: A Bad Investment and Getting Worse). It’s worth mentioning that the last time gold used for investment exceeded gold used for jewelry was 1980—the year the last gold bubble burst. First, the state of Utah recently made gold legal tender in the state. It was a political stunt, of course, since using gold bullion to buy a cup of coffee or even a car is impractical. But when any asset class has become this politicized, investors might want to keep their distance. 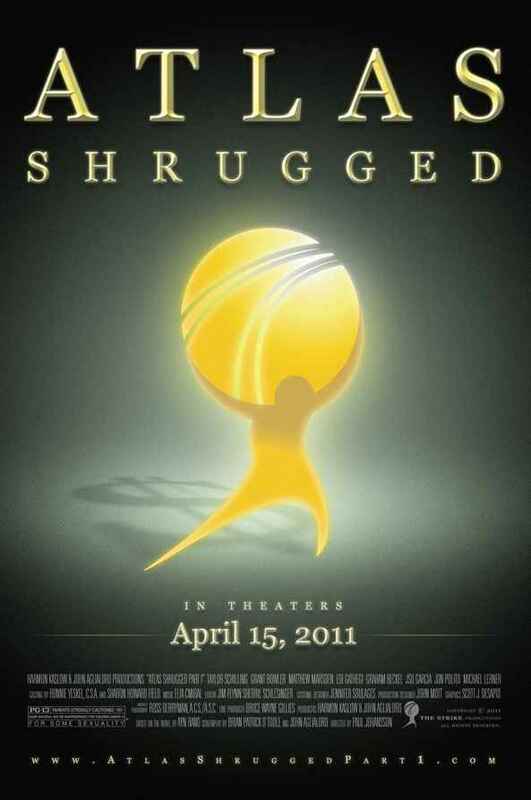 And lastly, finally, Ayn Rand’s magnum opus Atlas Shrugged is finally making it to the silver screen. I admit, the libertarian in me really does like Rand’s work and her unapologetic defense of capitalism. But her work’s fixation on the arcane details of political issues — like the role of gold in monetary policy – has long made her work seem unmarketable in popular culture. It is no coincidence that the debut of Atlas comes at a time when gold is at an all-time high, and when such views are fashionable. The bottom line is that gold’s bull run is based on weak arguments that don’t hold up to scrutiny. Investors might want to follow Warren Buffett’s advice and move their attention to attractively priced stocks paying reliable dividends. Or at the very least, avoid the herd mentality that is inflating the gold bubble right now.